Peter Martin studies gas and dust in the interstellar medium (ISM) in the Milky Way Galaxy. His research spans the range from the high latitude atomic ISM to the dense structures in molecular clouds at the onset of star formation, all parts of the cycling of material relating to star formation and the eventual exhaustion of the ISM. To acquire the vast amounts of information—opening up critical new wavebands and remaining at the cutting edge—requires engagement in international missions. Martin is deeply involved with both the Herschel Space Observatory and Planck, as well as ground-based surveys with the James Clerk Maxwell Telescope and the 100-m Green Bank Telescope. He is excited by what innovative instrumentation like Project Dragonfly has to offer in scattered light observations of the ISM and is looking forward to the awesome power of the James Webb Space Telescope, ALMA and the TMT. 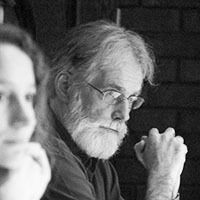 On receiving his PhD from the University of Cambridge in 1972, Martin joined the faculty at the University of Toronto and over the years he has had various leadership roles in the Department, CITA and the Dunlap Institute. He looks forward to continuing excellence in astronomy and astrophysics by scholars at the university, both competitive and collaborative on the world stage. Martin was the inaugural Interim Director of the Dunlap Institute from June 2008 to August 2010, Acting Director from September 2012 to June 2013, and Interim Director from July 2013 to December 2014.